The sweetest herringbone version ever. On the seventh day of Christmas, we’re betting you’re knee-deep in holiday frenzy. Parties, preparations, flights, last-minute reservations—you name it! 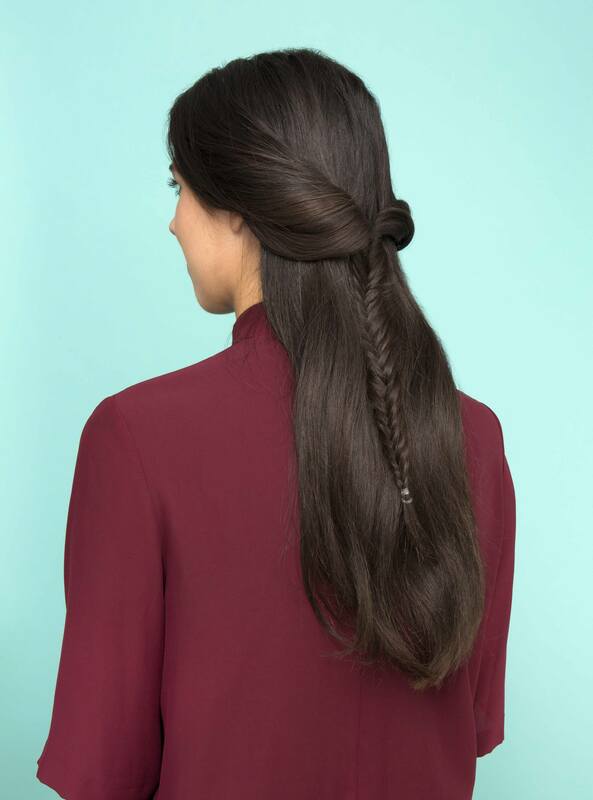 The last thing you want is to worry about your hair, so we think a foolproof, easy-to-master look, like the half fishtail braid, will work wonders. Step 1: Start with clean, freshly washed hair. 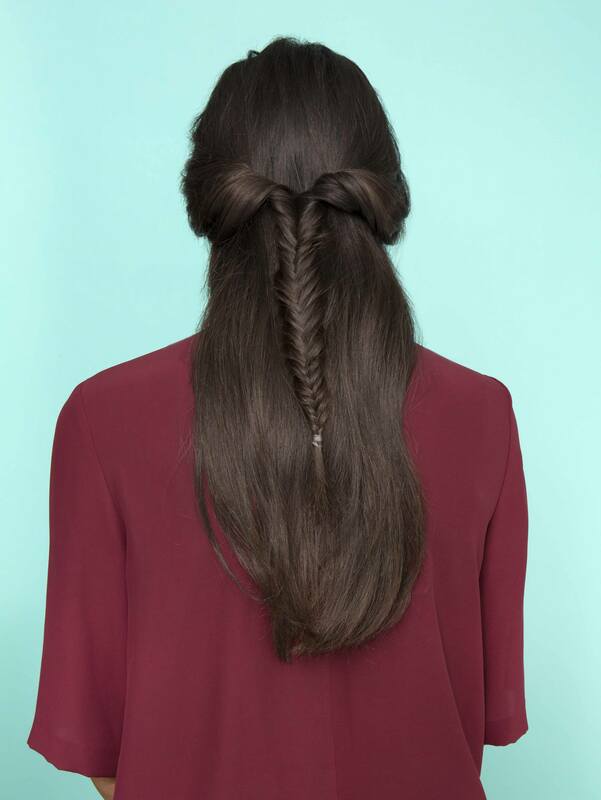 Braids do well on hair with a bit of grip. 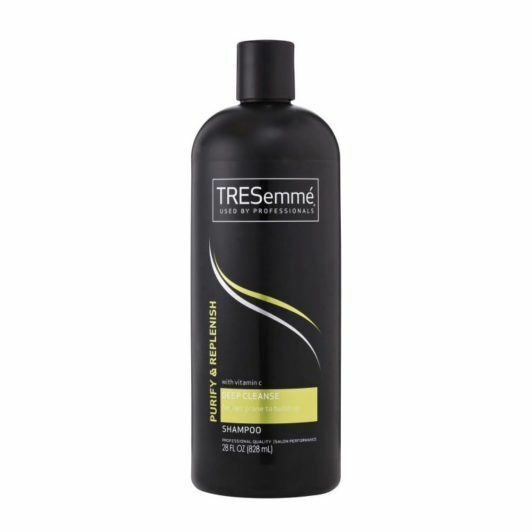 Washing hair with a gentle clarifying system, like TRESemmé Purify & Replenish Shampoo and TRESemmé Purify Replenish Conditioner, helps rid hair of buildup and residue, priming hair for your half fishtail braid. Rinse well and towel-dry. Step 2: Spray on some thermal protectant. 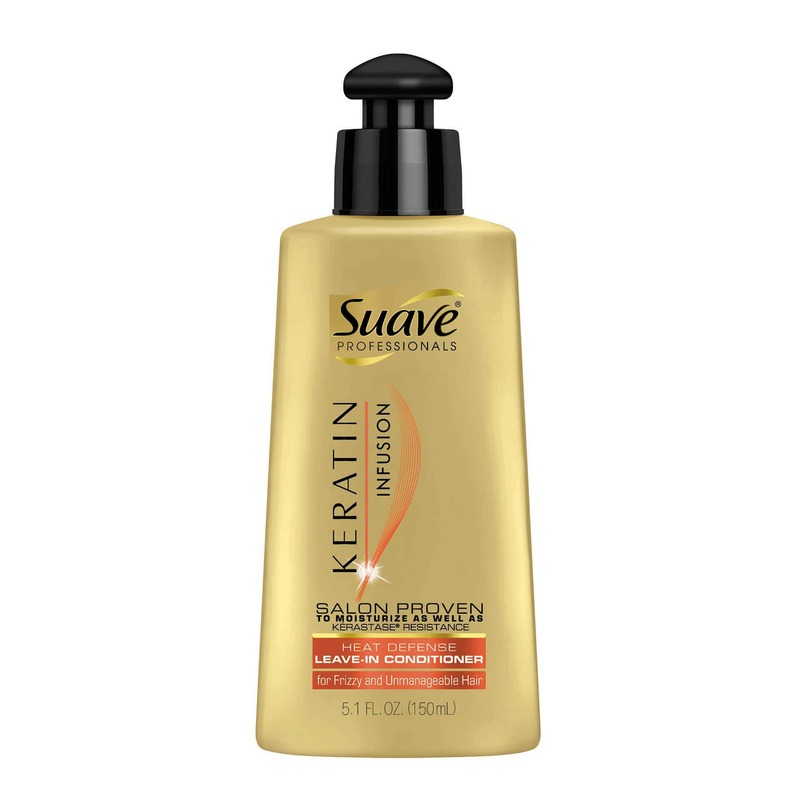 A heat-protective agent with conditioning benefits, such as Suave Professionals Keratin Infusion Heat Defense Leave-In Conditioner, helps shield hair against hot tool damage—in this case, from your blow-dryer. Apply on lengths and dry with a blowdryer on a medium setting till hair is completely dry. Brush through to detangle. Step 3: Pinch hair on each side to create your twists. Take a small section of hair on both the left and right side and twist each over before gathering them into a joint half ponytail. You will not need a middle section. Step 4: Begin your plait. 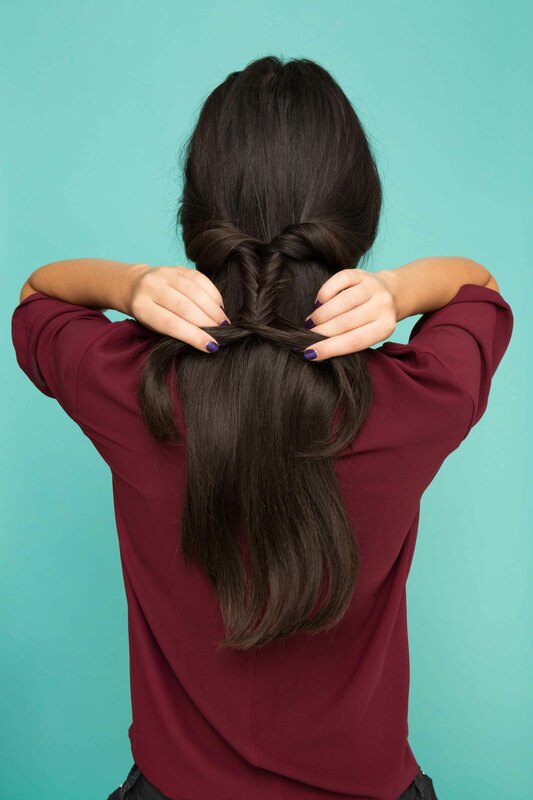 Start your half fishtail braid by taking a small strip of hair from the outer right section and crossing it over to the left, incorporating it into that grip. Next, take a strip of hair from the outer left section and cross it over to the right, and incorporate that as well. Continue till you reach the ends, and secure with a hair tie. Ed’s note: A metallic or embellished elastic can give some cute holiday sparkle! Step 5: Tug, tug, tug! Pull each plait apart a tiny bit so each chain has some texture. 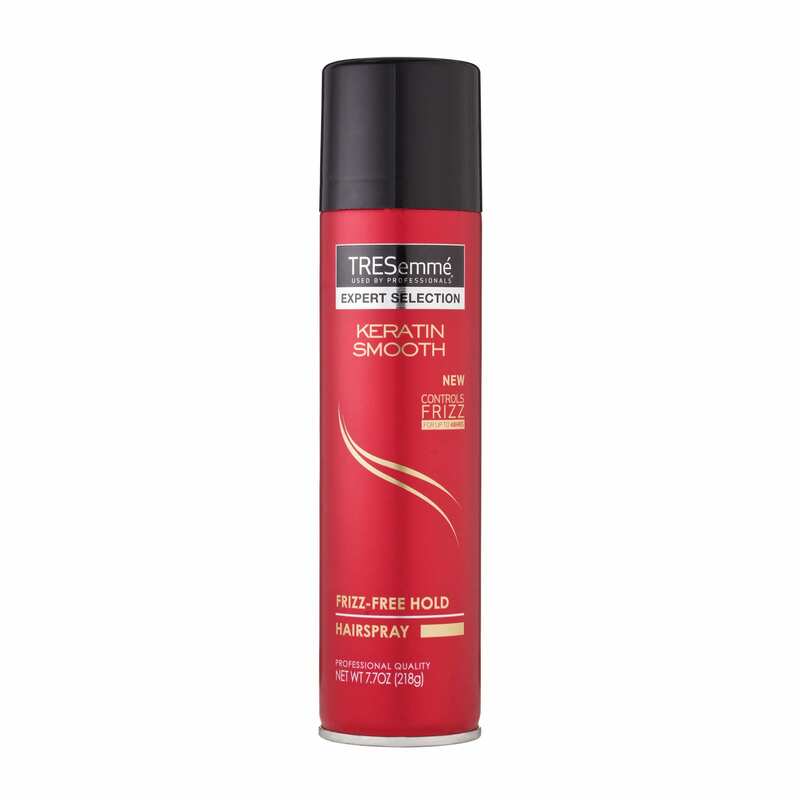 Guard against any frizz and flyaways with a frizz-protecting hairspray, such as TRESemmé Keratin Smooth Frizz-Free Hold Hairspray. Done! Get your most festive holiday updo ever.